By the mid-20's, the Kfz.3 armored vehicles being used by the Reichswehr had become obsolete, rendering them useless in a real combat situation. 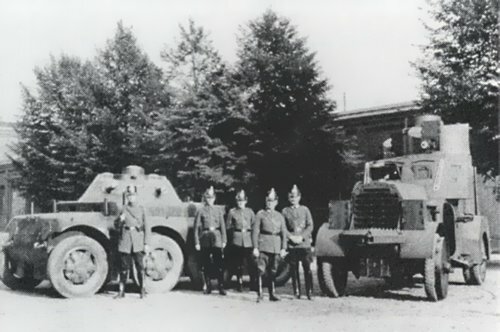 In March 1927, the Waffenamt, or Weapons Department of the Army, issued contracts to Magirus, Bussing-NAG, and Daimler-Benz to design and produce a Mannschaftstransportwagen (personnel carrier). Each company was to produce two prototype chassis. The bodies were designed by Martini-Hunecke Salzkotten, and the turret by Rheinmetall-Borsig. - Amphibious ability, though this was later rescinded. These requirements were very high, and it was expected that the vehicles would be complicated and expensive. According to the Reichswehr directive, six chassis were to be built by spring of 1928, and then fully tested in 1929. 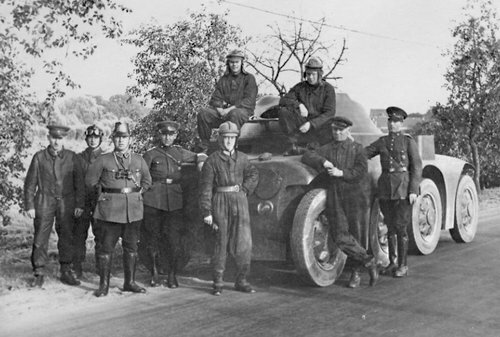 It was planned in 1931 to form a number of Panzerkraftwagen Kompanien, or Armored Car Companies, with 9-11 vehicles in each unit. The Reichswehr assigned 3 600 000 Reichsmarks to this program, enough to build 36 vehicles. The second prototype of the Magirus ARW (Achtradwagen, 8-wheeled vehicle) was the only one which was completed with a turret and fully tested. 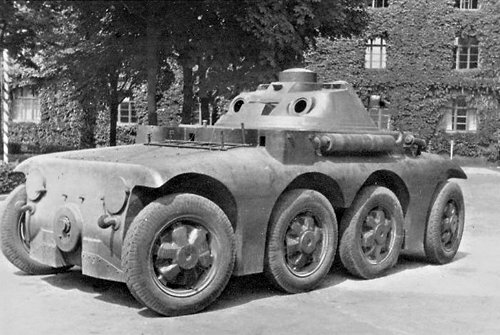 In reality, this vehicle was a wheeled tank. The rounded design of the body was extremely modern. It received conical Rheinmetall-Borsig turret with rational armor angles, and with two independently moving MG-08/15 machine guns (instead of a cannon and a MG). 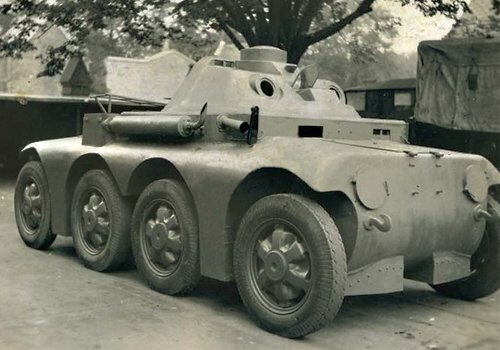 With the 6 cylinder Daimler-Beh M36 (100 hp) engine it had max speed of 90 km/h and range of 250 km, exceeding the requirements. A propeller could be attached as floating drive. To meet weight specifications, the wheels centers were casted of lightweight aluminum alloy. In 1930, after being tested in Germany, the Magirus ARW prototype was transported to Soviet Union, to "Kama" tank proving ground near Kazan, for further testing (to overcome Versal Treaty restrictions). 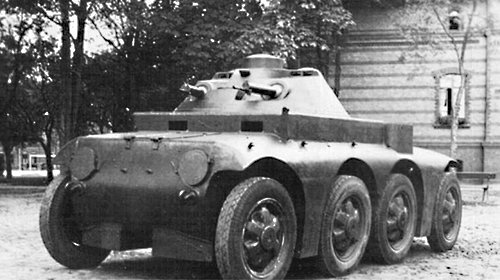 M-ARW tested by German police, 1930. M-ARW during tests in "Kama" facility near Kazan, Russia, 1931. In 1933, when the relationships between USSR and Germany got complicated, the Magirus ARW, along with other German experimental vehicles, was, according to soviets archives, sent back to Germany. Further fate of that single Magirus ARW prototype is unknown; already in 1932, the Mannschaftstransportwagen program was canceled due to finansial situation - the vehicles were too expensive to be built in series. 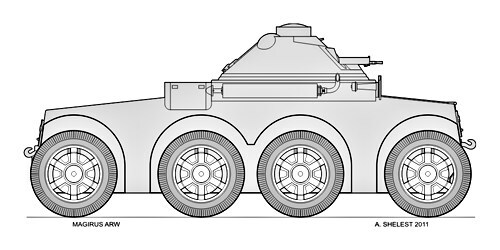 The Sd.Kfz.231 6-Rad, based on a standard truck shassis, was ordered instead. Later, the experience gained during ARW development was used in production of famous German 8-Rad vehicles - the Sd.Kfz.231-234 series.